Motor City’s Solar Max 100% Acrylic Solid Color Stain has excellent adhesion, great flexibility and superior weathering resistance. Made in Michigan. For Michigan. The 100% Acrylic finish resists, cracking, peeling, staining and the growth of mildew on the coating film. Solar Max 100% Acrylic Solid Stain is self-priming on wood, masonry, fiver cement siding and trim. (two coats are required when using as a primer/finish). 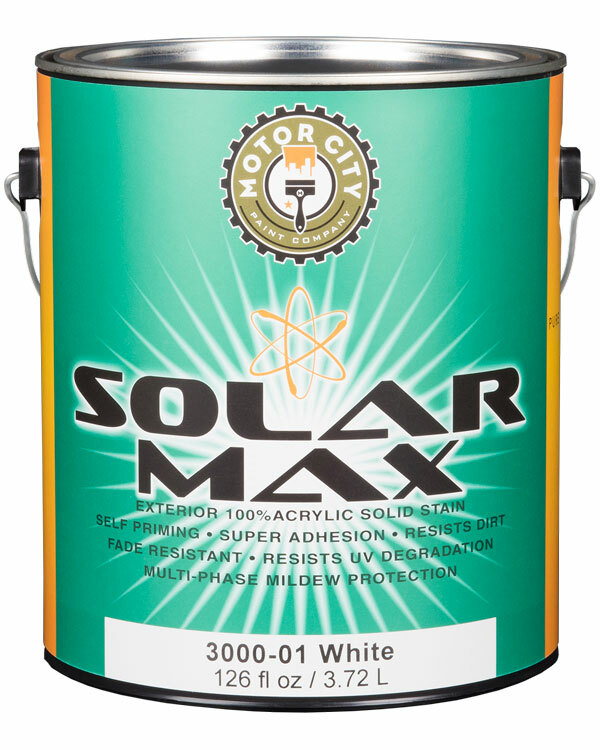 Solar Max can be applied down to 35 degrees Fahrenheit as long as the temperatures are above during application and for 4 hours after the application of the coating. Ideal for use on properly prepared wood*, engineered wood, masonry (fiber cement siding & trim). Solar Max Semi Solid & Semi-Transparent stain is engineered to protect wood fibers by repelling damaging moisture. It contains transparent iron oxide and UV absorbers to protect wood from the sun damaging ray. Solar Max is for exterior use only. 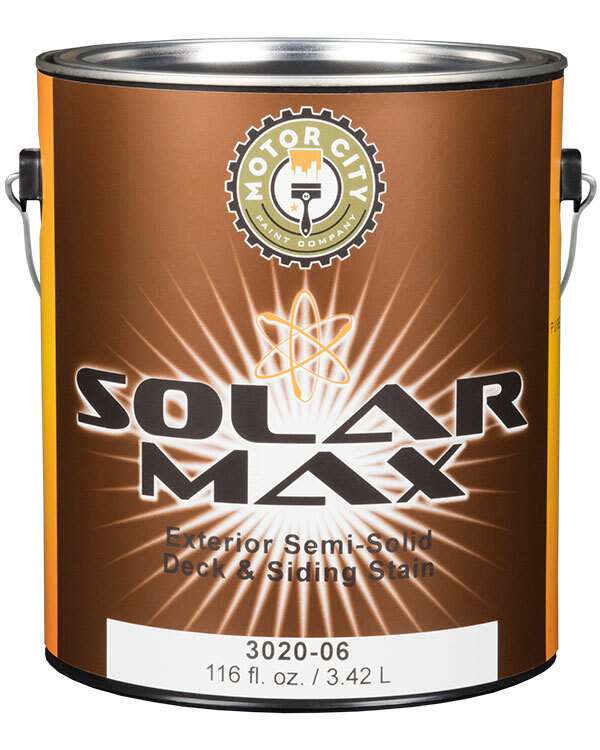 Solar Max may be applied over bare wood surfaces (remove mil glaze from new wood), existing semitransparent or semi solid stains that have weathered enough to allow the product to penetrate. Do not apply Solar Max Semi Solid or Semi Transparent over opaque stains or paints. Solar Max must be able to penetrate the surface being stained, for proper performance.